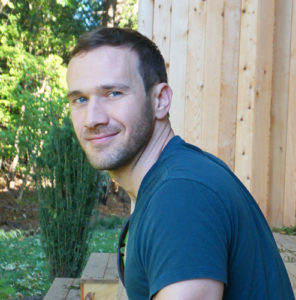 Born in Missouri and raised in Texas, Shawn relocated to the Delaware coast from San Francisco, CA in order to complete his first project, The Phillips House, and went on to found the Shawn Ewbank Design Collaborative, currently based in Lewes, Delaware. He completed a B.B.A. in finance at the McCombs School of Business at the University of Texas at Austin and holds an M.Arch from the San Francisco Institute of Architecture, where he was privileged to learn from pioneers of the ecological design movement and spend three consecutive summer courses living and studying at the Frank Lloyd Wright School at Taliesen West, outside of Scottsdale, Arizona. Shawn’s dedication to architecture that explores the link between the human condition and the built environment is strongly influenced by his interest and study of consciousness and the human spirit, ecological design principles and the arts.